Hi all, I'm an artist from the UK, and excited to announce my very first game - 'Crossing to the Cold Valley'. 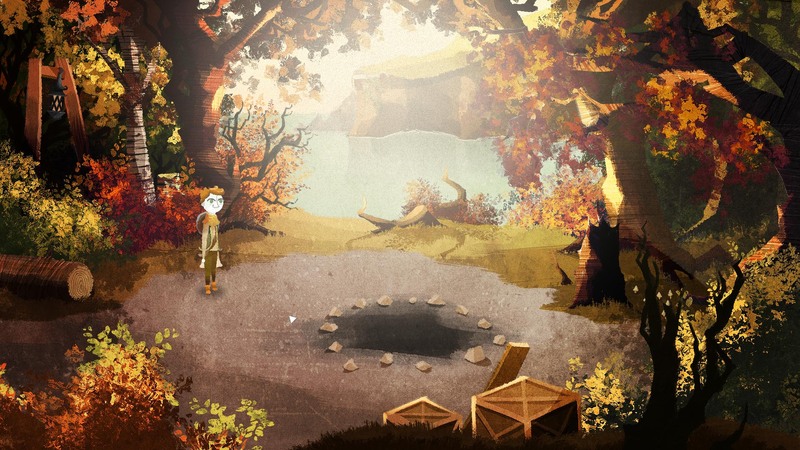 It's a short, but sweet, macabre adventure game. The game plays more like a digital story book, so while there's less 'game', hopefully you'll enjoy the world, characters, music and story. The game is available on Windows, macOS and Linux. It's either available for free on my website, or, if you think it's worth it, a buck here on itch.io. With it being my first game, I'll be forever grateful for your patience and communication regarding bugs and performance on the different platforms! I hope it'll be worth your time, and I'll be here to answer any questions. Take care and enjoy! Looks great, I really like the art style. Thanks for sharing.